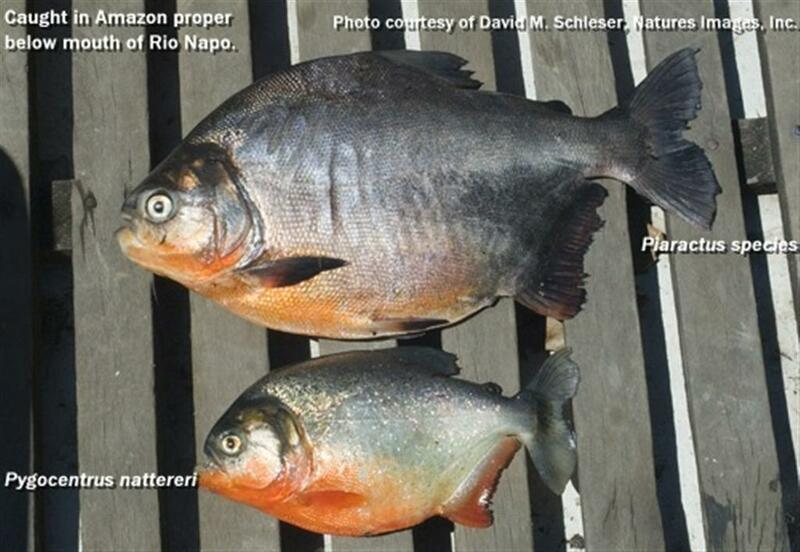 For those that read newspapers or follow TV news you can, during the early spring, summer or fall see an occasional story about a piranha being found in a local pond or reservoir in the United States. 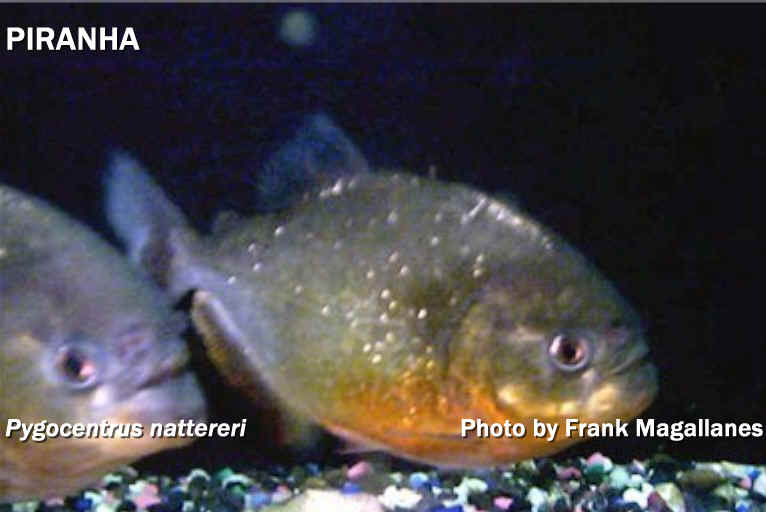 Often there is no photo of the actual fish caught, instead a photo of a South American red-bellied piranha (usually genus Pygocentrus) is shown and captioned with the description of the fish being a man-eater. The fish in question, nearly always weighs over 3 lbs and exceeds 12 or more inches total length. 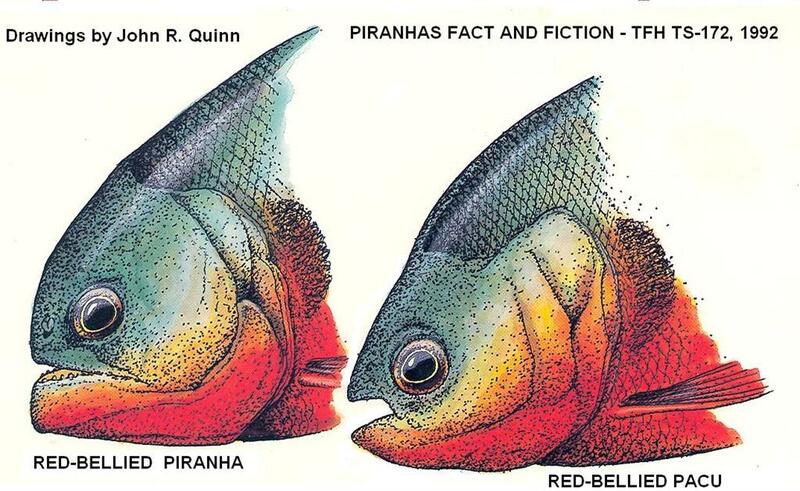 Newspapers then editorialize the fish in sensationalistic T. Roosevelt terms of the dreaded piranha, the scourge of the Amazon that attacks and devours humans that even so much as touch the water with their toes. 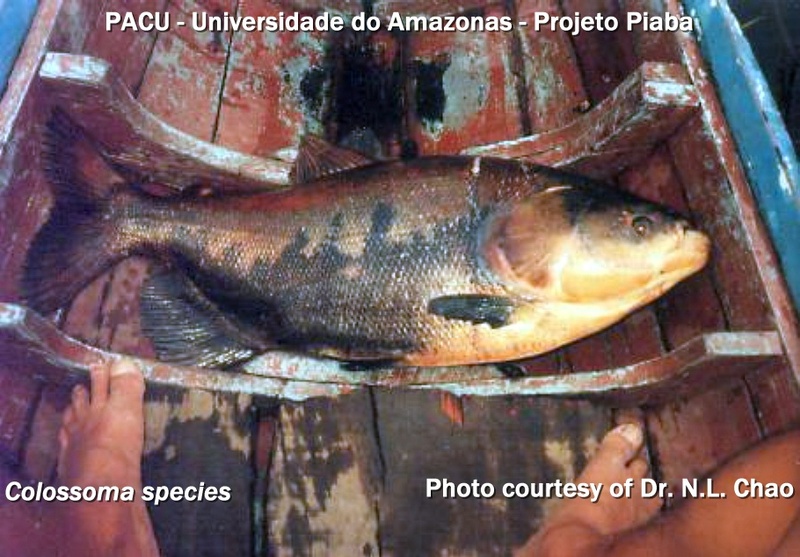 In spite of all the current published scientific articles that paint the piranha in different terms, the historical view of the piranha remains and still evident in the year 2006! 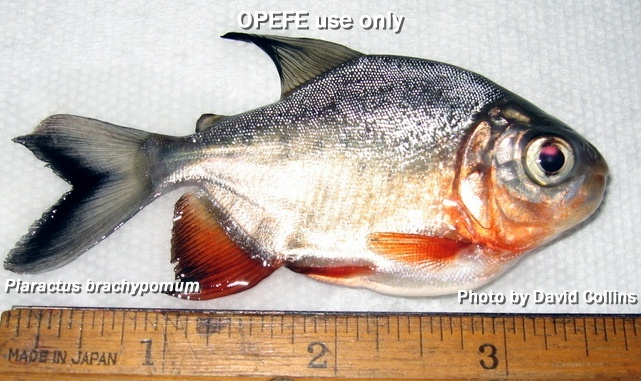 While OPEFE web site has tons of valid information on the fish, including the diet these fish eat, it still remains a problem for Department of Natural Resources personnel and the News Media to differentiate a common red-bellied piranha from a common red-bellied pacu. 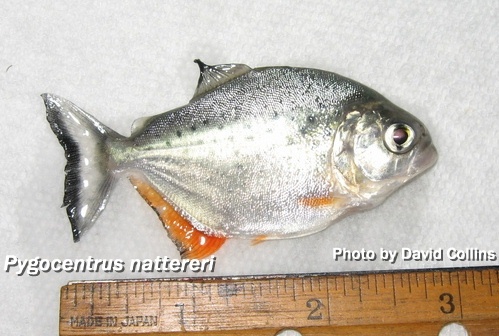 Even in Oregon, fish and wildlife officials still erroneously refer to pacu as Vegetarian Piranha! 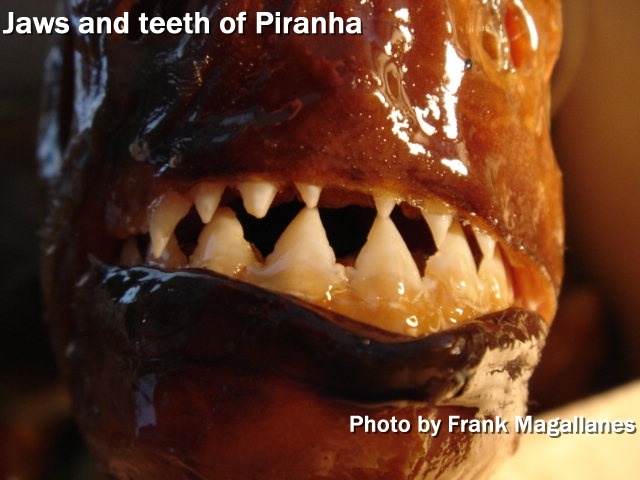 In order to help hobbyists and those that explore OPEFE for this type of information, I have provided photos of piranhas and pacus, including the teeth of both species. 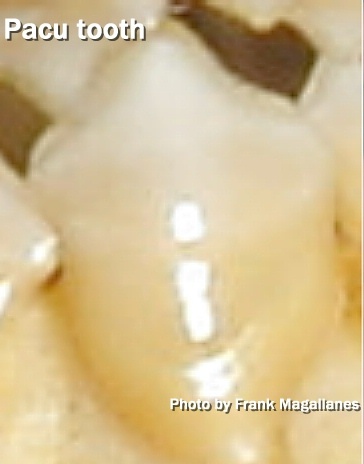 One of the key factors for those that choose to identify pacus is to always examine the teeth. 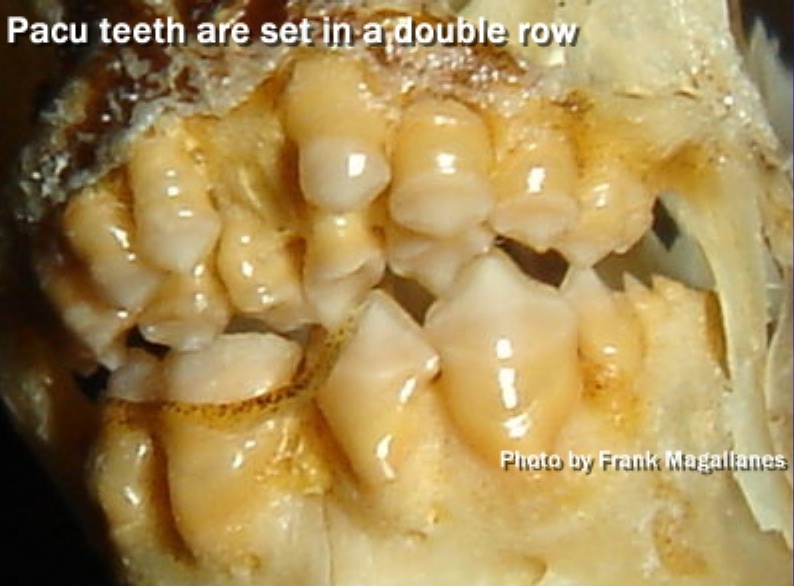 Pacus have a double row of teeth that are either short, blunt triangular, to flat, almost human-like. 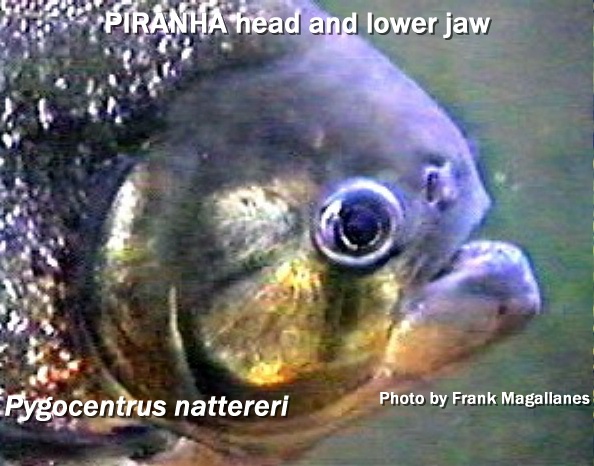 Piranhas in genus Pygocentrus, Serrasalmus and Pristobrycon always have long, sharp, serrated tricuspid triangular teeth in a single row. 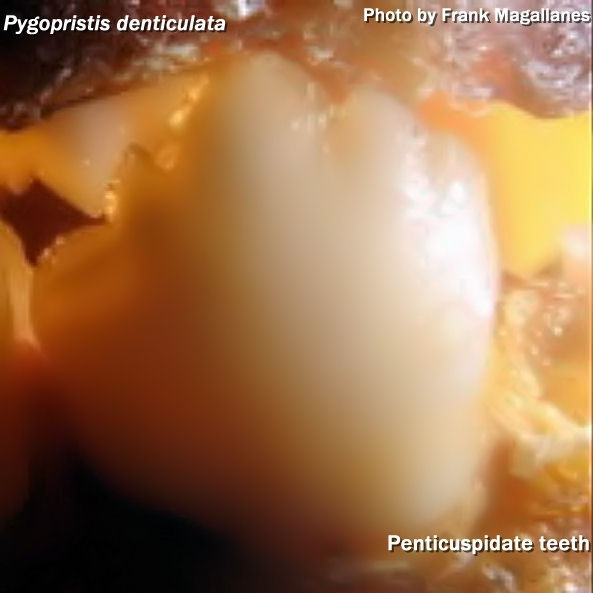 The genus Pygopristis remains the only species of piranha that has penticuspid teeth. Pygocentrus nattereri and Piaractus species in the home aquarium. The genus Piaractus and Colossoma are not suitable home aquarium pets. They are best shown at Public Aquariums. Most exceed 3 feet in total length and very quickly out grow aquariums under 1,000 gallons. 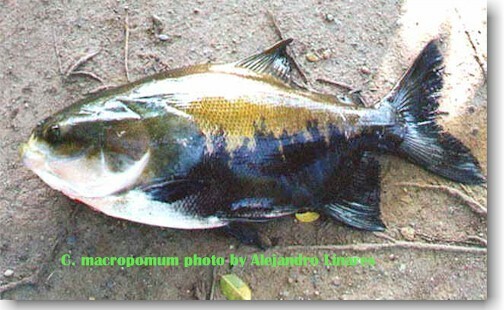 Two photos of Colossoma macropomum - Note size of fish! 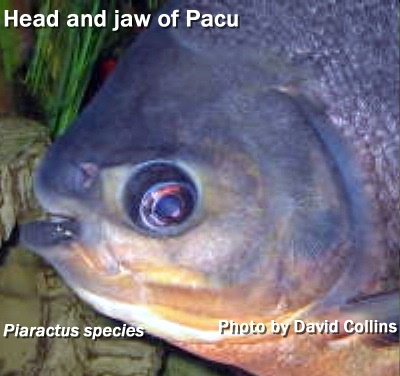 No matter whether the fish is a real piranha or a vegetarian pacu, one should never release them in non-native waters. That is not ethical behavior for any aquarist or someone that loves animals to do. Be responsible and dispose of your pet either through donation to a school, university, zoo, or return it to a pet store. And as a last resort you can and should humanely euthanize the fish. 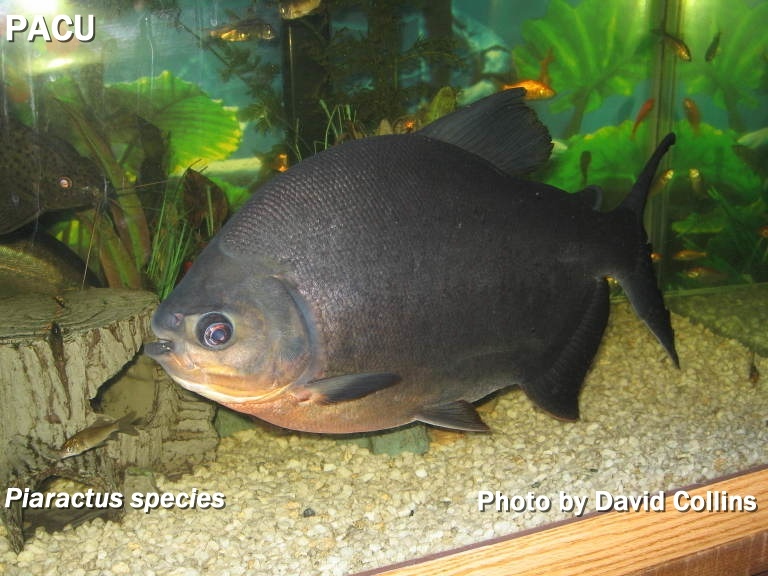 Copyright© 1994-2012 Oregon Piranha Exotic Fish Exhibit (The OPEFE fish exhibit is permanently CLOSED as of 2000) Sutherlin, Oregon. 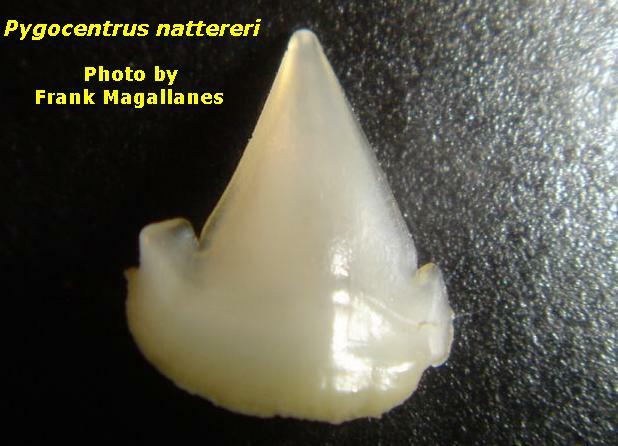 Information posted on this web site is archival data on fish scientific classifications and other information. DISCLAIMER: The copyrighted material may not be used for any purpose other than private study, scholarship or research. Cited information requires credit and this link www.opefe.com. All rights reserved. All images shown (unless otherwise noted) is property of OPEFE.